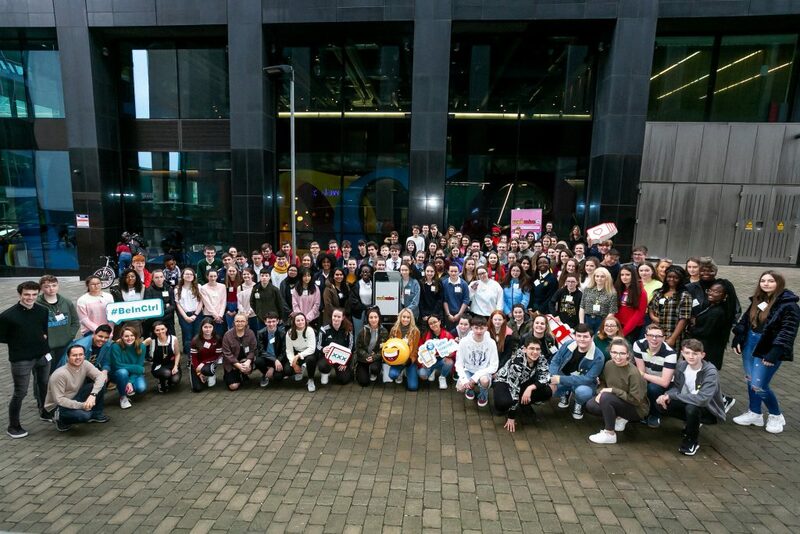 The Safer Internet Day Ambassador Training Day took place on the 10th of January in Google Headquarters in Dublin. 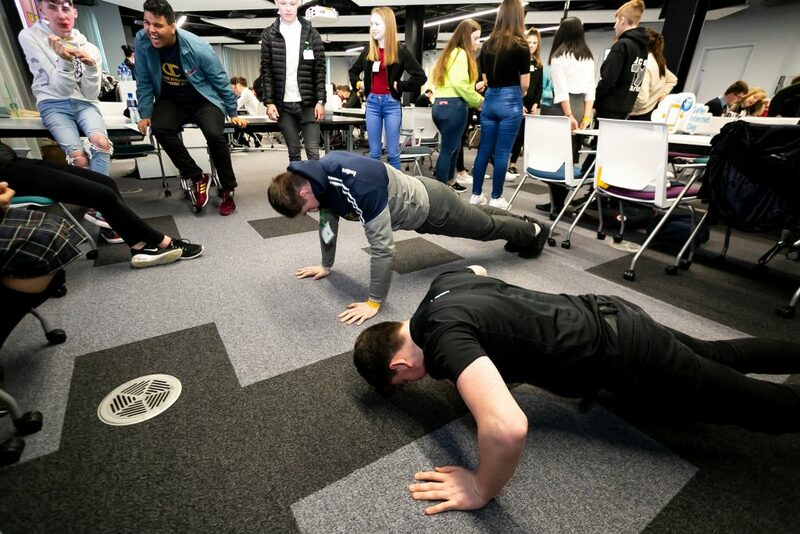 It saw 130 students come together to learn new skills and ideas for running their own internet safety campaign in their school, clubs or organisations. The students began their day by a hearing a welcoming presentation from Google’s Education Officer Xavier, before hearing more about Webwise and the aim of Safer Internet Day. They were then split into groups of ten and met their two leaders who would train them for the day. The SID Trainers, who are also members of the Webwise Youth Panel, were on hand to teach and encourage students on how to run a successful internet safety campaign. Each of the trainers have worked on a number of campaigns with Webwise and also took part in the Safer Internet Day Ambassador Programme in 2018. They also ran their own campaigns in there school and continue to work towards providing a better internet for their peers. They brought the students through a series of warmers and prescribed Webwise activities that students can or use in their own campaigns. The atmosphere in the room was enthusiastic, fun and highly productive. The training is peer-led by our SID Trainers who are also members of the WEBWISE Youth Panel. Fun was had by all and we would like to thank our amazing trainers who put so much work into leading their groups. They put in so much enthusaism for the programme, a lot of preparation time learning and practicing their activities and gave their time for such a worthwhile cause. We would like to say thank you to our new SID Ambassadors. We are really excited to work with you and your schools, we are really looking forward to seeing the fantastic campaigns you come up with for Safer Internet Day 2019. There are also parents, and teachers who help make the day run smoothly and make it possible, the Webwise Team would like to say that we thoroughly appreciate it. Finally, a massive thansk to Google Headquarters for giving us such an amazing venue to host such an event. We are thoroughly proud of all the work that was done on the day and are really looking forward to seeing the results of this training all across Ireland for Safer Internet Day on the 5th of February.